"We commit to share the Grace of our Lord Jesus Christ, the Love of God and the Communion of the Holy Spirit, we commit to love God above all things and love our neighbor as ourselves. Therefore our Vision is: To proclaim the Good News of the Gospel, to help and serve our neighbor in all that we can, and seek always to be the Church that Jesus Christ wants us to be." Many people who come here need help adjusting to a new country, or learning the language. And many come to the Land of opportunity with great sacrifice. We have people from Guatemala, Mexico, Ecuador, Argentina, and other Latin American countries. Our wish is that our community can become positive members of the greater community in which they live. Our worship services have a Presbyterian backbone, we offer traditional services, but with many unique elements that are enriched by the wide variety of background (denominational and cultural) of the members. Sunday School classes take place during the services. 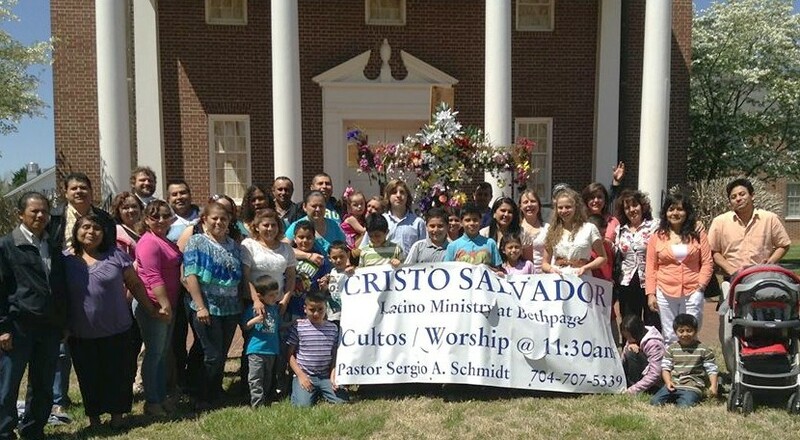 Bible studies, led by our Pastor Sergio Schmidt, are on Fridays in the houses of the members. Our worship services are always followed by an agape moment of meals, or coffee and typical foods from different countries; time shared together to share conversations and culture. We work hard in our Food Pantry to serve people in need in our community. We would love for you to visit us. You do not need an appointment to come. Of course, you are always very welcome! Are you interested in making monetary donations to our mission? It is important to clarify that the donation is specifically for our mission.